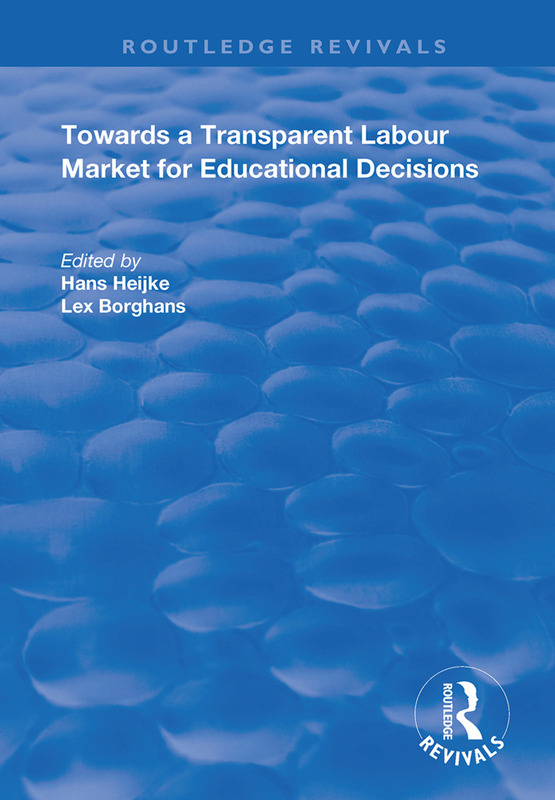 First published in 1998, this collection of essays strongly advocates for increased flexibility in the Dutch labour market and questions current assumptions on the connections between education choices and ultimate employment outcomes. The volume responds to the glaring contradiction between the current mass unemployment in all European nations, both in urban and rural areas, affecting people of different levels of education (though primarily those of low-skills levels or ethnic backgrounds) and the idea that labour is the most important source of wealth. Its objective is to develop insights, ideas, and experiences concerning the possibilities for increasing the transparency of the labour market. The contributors recognise that the quality of labour has rapidly become the key factor in economic and social development. A Job to Match your Education: Does it Matter?